Unofficially, the Virginia Board of Elections has Robert Sarvis picking up 145,773 of 2,235,284 votes cast, 6.5%. Ken Cuccinelli got 1,011,377 votes and Terry McAuliffe got 1,067,114 votes. Officially, in 2009, Bob McDonnell pulled in 1,163,651 votes and Creigh Deeds received 818,950. That’s a lot of numbers, but what we see from that is that in 2009, 1,982,601 people voted for the Republican or the Democrat. In 2013, 2,078,491 did so. That’s 4.8% growth in four years. according to Wikipedia, Virginia is adding 1-2% population per year lately, so the number of people who voted Republican or Democrat grew roughly on pace with population from 2009 to 2013. This means the only meaningful difference in turnout then was the addition of the Sarvis factor. Sarvis increased turnout. That 6.5% of the electorate came out to vote for him, because they were more interested in voting for him than they were in tipping a close election between McAuliffe and Cuccinelli. That’s remarkable because this is, as I said before, this level of third party support is unprecedented in Virginia in my lifetime. It’s been a long, long time since someone not a Republican or a Democrat got more than 3% in this state. Sarvis about tripled the Russ Potts total. 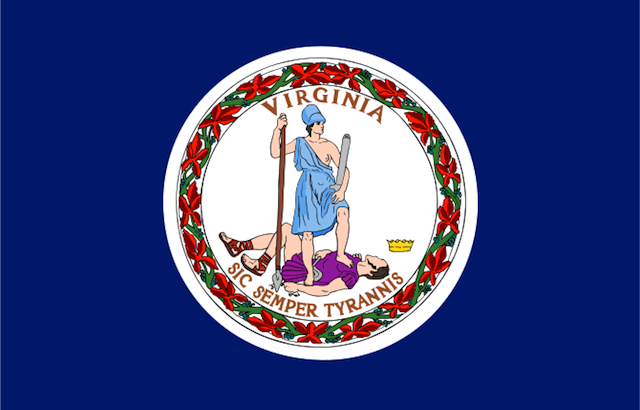 Now that said, there were no other Libertarians on the ballot statewide in Virginia. so Sarvis voters had three choices: vote Republican, vote Democrat, or leave the ballot blank. Let’s try to figure out what they did. The total two-party vote for Lieutenant Governor was 2,186,977, which means 108,486 people more voted Republican or Democrat for Lieutenant Governor than voted for Governor. The total two-party vote for Attorney General was, at this writing, 2,200,919. 122,428 Sarvis voters got to Attorney General on the ballot. What this tells me is that 13,942 Republican or Democrat voters didn’t vote for Lieutenant Governor, who then voted for Attorney General. Knowledge of the party dynamics and a quick glance at the results makes it obvious to me that virtually all of those 14,000 are Republicans who did not vote for E. W. Jackson. Republicans were united behind Obenshain, but not behind Jackson. But Jackson lost 33,786 votes Cuccinelli got. Only 13,942 of those we’re thinking were GOP voters who left their ballots blank for Lieutenant Governor, that leaves 19,844 Cuccinelli voters who appear to have voted for Ralph Northam, if we assume absolutely no Sarvis voters voted for Jackson. If some Sarvis voters did vote for Jackson, then that means even more Cuccinelli voters defected. I believe we can boil down this election to two variables: How many Cuccinelli voters voted for Northam, and how many McAuliffe voters voted for Obenshain? Estimate those two figures and the Sarvis vote falls out. In fact, here’s a spreadsheet you can use to do just that. I used to find that if 10% of Cuccinelli’s voters defected for Northam, then from 2% to 3.5% of McAuliffe’s voters may have defected to Obenshain, because that’s the range that gives us similar-looking splits of Sarvis voters for the other two statewide contests. We’ve gotten into the weeds, though. The short answers to the important questions about Robert Sarvis being a spoiler are that a) No, he didn’t meaningfully affect the Governor’s race, b) No, he didn’t meaningfully affect the Lieutenant Governor’s race, and c) If Obenshain holds on, then Sarvis voters were probably the difference maker for him over Herring. Which means the Libertarian spoiled it for the Democrat downticket by increasing turnout, without spoiling it for the Republican upticket.